An opinionated and analytical view of sports since 2009. Another year has past and as much as I’d like to think the worst of it is over, I know there is much more in store for me. You need to stay positive no matter the outcome. I learned that a long time ago. Going forward I know that I am truly grateful for what has been provided to me and for what I have earned. It seems from my perspective that some of my generation, not all, but some have either given up or are waiting for something to fall in their lap. I was in your shoes for an entire year. I wasted an entire year of my life waiting and not acting. Thankfully I had a strong support system to wake my lazy self up and get moving. I know that some folks don’t have that support to help them through it, but there are great people out there ready to help. Why am I writing this? My words are not the most influential, but I can relate to the way people are feeling these days. I’m here to tell you that going through tough times and coming out on top will give you the greatest feeling in the world that you can accomplish anything. Keep your chin up and good things always come to those who seek it. Thank you for listening and checking in. Football is right around the corner. October baseball will be here before you know it. The NBA and NHL season will be starting as well. Lots of previews coming down the pipe and maybe some surprises along the way. 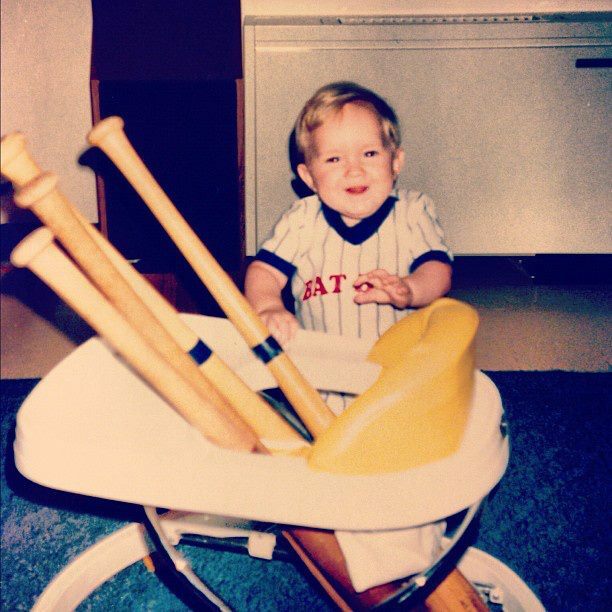 Check out the Instagram feed tomorrow for some incredible throwback photos of this former bat boy (see above). This entry was posted in Miscellaneous and tagged Birthday.